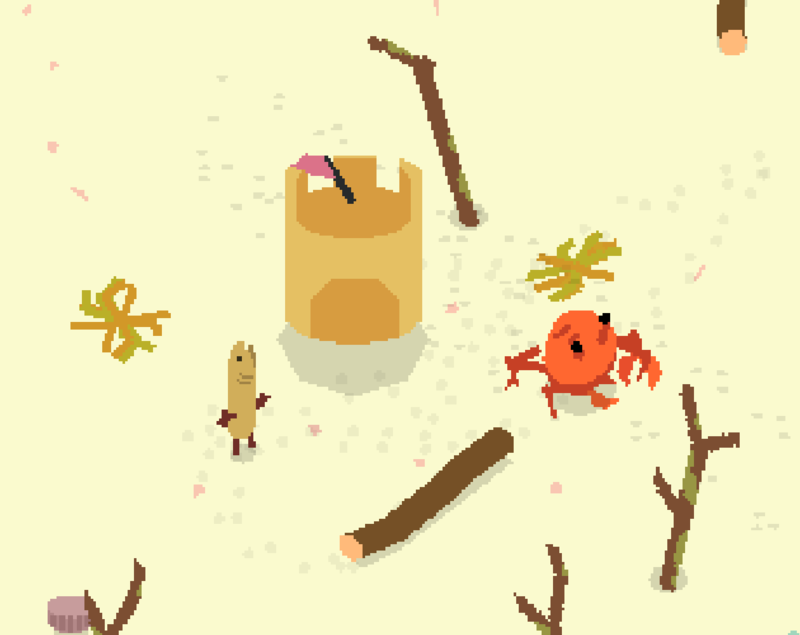 A sitcom game featuring sand, water, fish, crabs, bottles, driftwood, seaweed and sandcastles. In this pilot episode, Blubber the fish has a lot of trouble protecting his precious sandcastle from crabs. ......co-starring Fred Shed as hermit crab. An official Sokpop production, recorded in front of a live studio audience. "Unable to find game!! :" Redownloaded it a few times and still unable to play the game. Hey! Played this on my channel and had a good time, it's like sittin' at the beach and watching a tide pool.